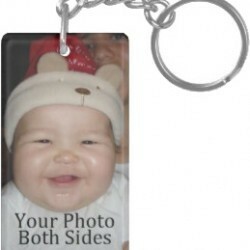 Zazzle is one of our key Print On Demand (POD) partners with whom we market Pete’s product designs. If you’re new to the POD concept, briefly it’s a way you can design products and make them available for sale via a third party website. When an item is purchased, the POD vendor produces and ships the product, paying you a commission. We’ve had such a relationship with Zazzle since early 2008, and our product numbers have grown to the 80,000 range. We market those products in a variety of ways, within Zazzle itself and using separate web entities as well. Safe to say without Zazzle, we’d have never even dreamed of location independence, and now here we are. It’s always fun to see what sells. This can be totally unpredictable. We’ve long realized You Never Know What Someone is Going to Buy. I asked Pete to provide a list of our 2013 best sellers, and we enjoyed looking at the information. Hopefully, it will be helpful to you, too, if you’re interested in adding or replacing income. In 2013, we had 763 royalty sales with Zazzle spread over 325 individual products. Obviously, several products sold more than once throughout the year. Pete has developed several different ways of making multiple products from one design with Zazzle. (Find out how in his e-book, More Products, Less Time). We wanted to know which individual designs sold the best, and which product categories were the strongest. This information is critical when planning for new designs, and where to concentrate efforts within Zazzle’s increasing product offerings. When you design for Print on Demand, your items are available for sale long after you’ve created them. Many of our best sellers in 2013 are items Pete created several years ago. 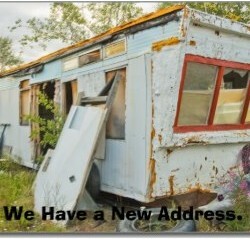 If this doesn’t exemplify residual income, what does? We had been very enamored of the high royalty pay-outs for tech items such as smartphone cases, iPad cases, etc. but the low tech items consistently are money-makers for us. A new item for 2013, the personal photo keychain, jumped into second place this year. Pete quickly recreated the concept in different shapes, etc. We’d imagine this item to have a long lifespan. Who doesn’t love this happy baby? We’re not finished discussing all the ramifications of this data, and it will be fun to make merchandising decisions using our information. We hope it helps you if you’re a Zazzler, or perhaps it will inspire you to get started! Also, I created a quick visual representation of the entire Top Ten with Listly. Click here if you can’t see the embed below. We are on a long spiral down unless we wake up for the next election. Use the links below to search for all the Tea Party and Express Wear for your state. Be sure to check out UNIVERSAL TEA PARTY GEAR where you can customize an array of designs for your local Tea Party site. This design can be a matching set with Christmas return address label and stamp. See your choices using the Read More link just below. Click any image to see the match. Go to The Christmas Shoppe. Fun happy dancing snowman with his candy cane proclaiming It's Christmas! Thank you for publishing these figures. So it is really hard to make money with Zazzle, right? I calculated your first example and you earned an average of 0.24 per sold item. thank you Betsy 🙂 I took the average of all the 10 products listed. I am in an agreement with Ramona. Your example above shows that your top 10 items brought in a total of $1957. for the year. You state that you have 80,000 items for sale. I don’t see making a living off $1957.I don’t mean to sound so negative, I just really want this to work for me. Hi Regie – You’re right, it would be difficult to make a living if $1957 is all we made. TBH, I hesitated posting this information, because I knew it would be subject to interpretation. But this list is our top ten items by repetitive times they were sold. I could post a table that contains every item we sold, and our total income from Zazzle and other PODs, but I’m not going to. It just seems as though it would lead to someone wanting us to post all our income from various sources, perhaps a copy of our tax return, etc etc. Our overall online business is comprised of several facets, POD being only one of them. Income diversity is what we preach, because income streams ebb and flow. We certainly make a lot more money than $1957 every year, but that isn’t the purpose of this post. The purpose of this post is to encourage people to take a look at their own numbers and make sound business decisions going forward. We talked a little more about our long term philosophy regarding making money online several years ago in this post: https://passingthru.com/2011/09/making-money-online-be-the-tortoise-not-the-hare/ We had started to achieve momentum with Zazzle at that point. Hope this helps!